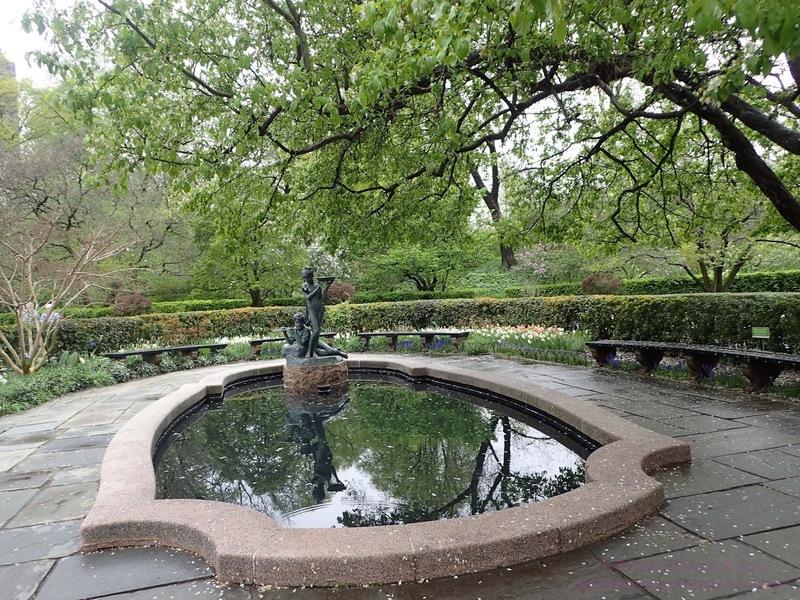 The only formal garden in Central park is the six-acre Conservatory Garden, located at the northern part of the park. 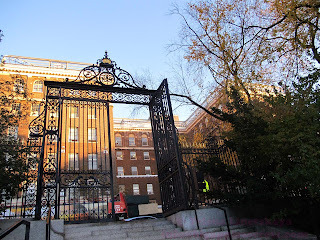 The Garden's main entrance is through the Vanderbilt Gate, on Fifth Avenue between 104th and 105th Streets. 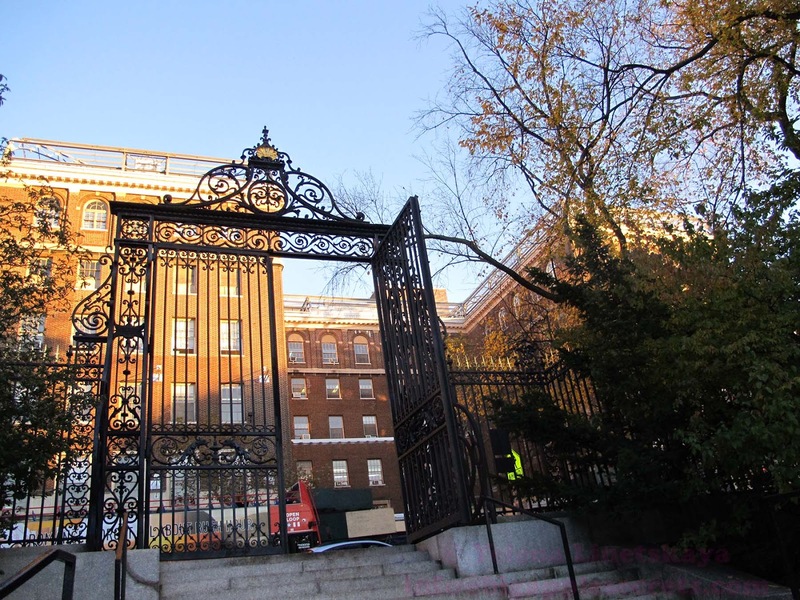 These iron gates were made in Paris in 1894 for the Vanderbilt mansion at Fifth Avenue and 58th Street. The Cornelius Vanderbilt II mansion was, and remains, the largest private residence ever built in New York City., After Cornelius died, his wife Alice, before selling the house, donated as many elements from the interiors as she could, including donated the 10-foot-tall metal front entryway gates. 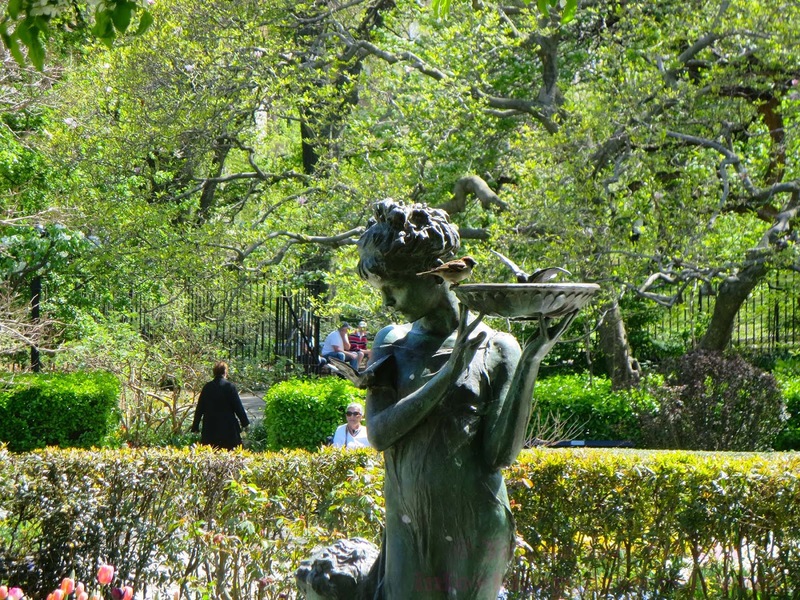 Conservatory Garden is divided into three smaller gardens- Italian, French, and English. The Italianate center garden is composed of a large lawn surrounded by the yew hedges, and to the south is the very intimate English-style garden. Ft the center of the garden there is a pretty small water lily pool and a fountain, named after British-U.S. playwright and author Frances Eliza Hodgson Burnett. Burnett wrote children’s novels including the classics Little Lord Fauntleroy and The Secret Garden. The Secret Garden was first published as a book in 1911, after a version was published as an American magazine serial beginning in 1910. Set in England, it is one of Burnett's most popular novels and is considered a classic of English children's literature. 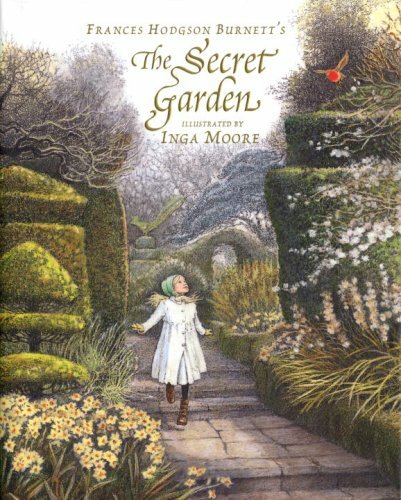 The Secret Garden is a tale of a lonely little girl Mary and her friend Dickon. When orphaned Mary Lennox, lonely and sad, comes from India to live at her uncle's great house on the Yorkshire moors, she finds it full of secrets. She met Dickon, a magical boy who can charm and talk to animals. Then, one day, with the help of a friendly robin, Mary discovers the most mysterious wonder of all - a secret garden, dulled and locked which has been completely forgotten for years and years. 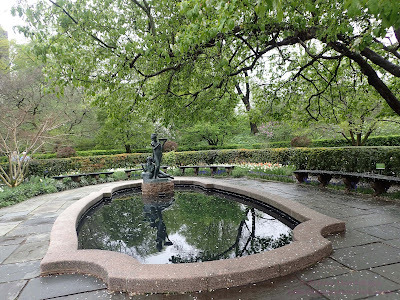 American sculptor Bessie Potter Vonnoh completed her best-known large-scale work, the Frances Hodgson Burnett Memorial in Central Park in 1937 when she was 65. It was her last work. 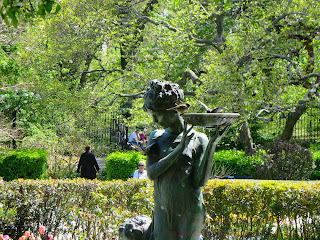 The children - a girl and a boy, said to depict Mary and Dickon, the main characters from "The Secret Garden" book.